This short, inspiring video by ShwoodSunglasses will give you a window into an amazing world. SunRay Kelly is a craftsman with his head in the clouds but his feet firmly on the ground (literally!) He shows us how his organic house-building ideas can be an extension of the living landscape. A lot of work has gone into these structures and plenty of skill too – the results are truly unique. Many people dream about a place like this and it often seems out of reach but here is a man that has made his dream into reality. These forest houses will surely inspire us to think more about being artistic with our designs and encourage us to become more aware of our relationship to the natural world. Each house built by SunRay has a character of its own and blends beautifully into nature. He tells us how a friend gave him a push to get started and it seems like he’s never looked back! The natural world is full of organic forms that we can draw on for inspiration and instruction. It would benefit us greatly if we tried to observe nature more closely and learn to see natural forms as models for our new building and technology – the shapes of trees and plants have evolved to fulfil their function and to be in harmony with their surroundings by responding and adapting to natural forces during their growth. Human beings have the same potential to live in harmony without causing so much destruction. One of the best features of these forest houses is that an established “forest garden” has been created around them. A forest garden is a way of introducing more food plants and fruit trees to the area around where you live. 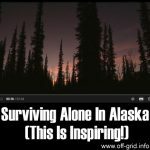 It is an idea that has been a way of life for many indigenous peoples and allowed people to settle in one place and blend into a “climax ecosystem” without relying solely on nomadic hunting and gathering for their food. If you’re interested in environmentally friendly building methods (or you have just been inspired by this video!) there is much educational material out there. 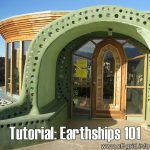 It’s also getting easier to find courses and workshops to learn about the various natural building techniques. Many of these courses give you the chance to do the practical work, which will give you more confidence to make things happen. 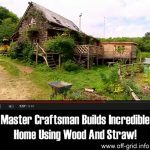 Master Craftsman Builds Incredible Home Using Wood And Straw! 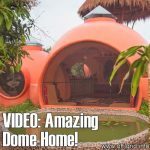 Build A Cob House And Live Debt-Free! 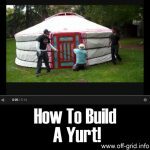 How To Build A Yurt! 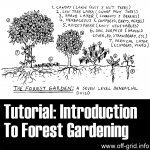 How To Start A Permaculture Garden!